A carpet fitter’s role is extremely varied, and as such, an experienced fitter requires multiple skills. Carpet fitters specialise in installing floor coverings from carpet to vinyl, and are required to calculate measurements perfectly in order to ensure a seamless fit, every time. We’ve listed the characteristics every great carpet fitter must have in order to excel at their trade. 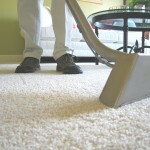 The best carpet fitters have excellent practical skills, and are able to apply their experience to every job perfectly. Carpet fitters must be able to make quick decisions regarding the project they are working on, and solve any problems that may occur in the process. A large portion of a carpet fitter’s job involves estimating sizes and quantities in order to ensure the perfect fit. A great carpet fitter therefore has excellent numeracy skills in order to determine the correct lengths, times and resources needed to carry out a job. Fitting carpets is a physical job, with a large portion of manual work involved. Transporting carpet materials, and fitting the carpet correctly, requires a great fitter to be physically fit in order to carry out their job efficiently and safely. Carpet fitters are responsible for communicating with their customers regularly to ensure they are meeting the customer’s expectations. Good communication skills are a must for any great carpet fitter in order to make sure that a high quality service is provided every time, and that the customer’s specific needs are met. As with any manual work, health and safety should always be a priority. 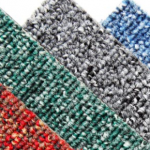 Carpet fitting requires a good awareness of basic health and safety issues that could arise in their day-to-day duties, and how to deal with them should an emergency occur. 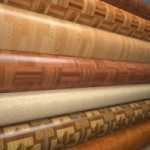 A great carpet fitter is an expert in their trade, so has a vast knowledge of flooring materials. They are able to advise customers on carpet, vinyl and wooden flooring, and what would suit each customer’s flooring need best. The best carpet fitters are always professionals. Although some DIY projects can look great, professional carpet fitters are trained to measure and fit your carpet seamlessly, ensuring a perfect finish with the precise dimensions required. Here at Brent Carpets, our team go above and beyond the basic duties, providing expert services to the London and Edgware areas. Our carpet fitters are professionally trained in their trade, and are always on hand to provide great advice on what carpet would suit your needs, with a knack for what looks good, too. Contact us today to discuss your carpet fitting needs, and we’ll always be happy to help. 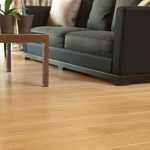 Allergies: What flooring is best?